During the first weekend of August every year, Chicago floods with travelers heading to Grant Park for one of the biggest noncamping festivals in the country: Lollapalooza. As a festival largely overrun by out-of-towners, Lolla is a weekend during which many Chicagoans tend to flee the city limits. With this high demand for housing during the weekend of July 31-Aug. 2, many Chicago residents take the opportunity to rent out their homes to festival travelers. To stay within regulatory boundaries and in compliance with taxation laws, Chicagoans can utilize platforms like Avalara MyLodgeTax. Formerly known as HotSpot Tax, Avalara MyLodgeTax provides owners of short-term rentals with a platform that enables them to track and manage occupancy-related tax, obtain required licenses, file tax returns, track rate changes and collect appropriate taxes. HotSpot Tax was acquired by Avalara in March. Avalara has created multiple products for different industries over the past decade using developed, purchased or licensed databases with tax data. Avalara MyLodgeTax costs an average fee of $15 to manage registration and licensing documents, as well as take care of taxes. It requires some data entry upfront to set up appropriate accounts; the platform then has automated filing for tax returns, as well as automated notifications for tax rate and law changes. The target demographic for this product is small operators of vacation rental properties because much of the documentation to stay in legal operation is ongoing. License and registration renewals can lead to fines and penalties if not kept up-to-date. 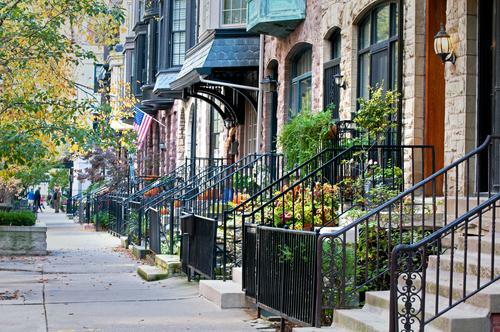 Neighborhood content image via Shutterstock. Although Stephens recommends about 30 to 45 days to register for all the required licenses, he says it’s better late than never for Chicagoans.